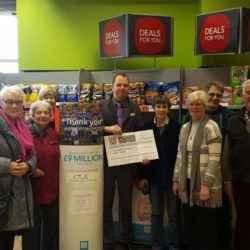 Ruddington and District Choral Society - Want to be happy? - Join a choir! Some of our upcoming events, please click on the event or the "Calendar" link below for full event details. After our concert on Saturday November 24th, rehearsals will continue on 26 November and 3 December, followed by the Community Messiah on Monday 10th December. Next year, rehearsals start on Monday 7th 2019 January at St Peter’s School, Ashworth Avenue, Ruddington. They start at 7.15 p.m. and finish at 9.15 p.m. with a tea/coffee break mid evening. If you’re a newcomer, you can try us out for two or three weeks before joining. For all, old and new, membership details are on this website under ‘Joining us’. Saturday 18 May 2019, 7pm at St Mary’s Church, High Pavement, Nottingham. 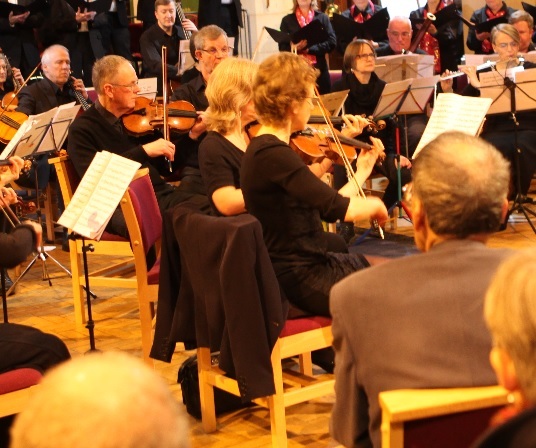 Ruddington and District Choral Society, Burton Joyce Choral Society, Nottingham Hospitals Choir, Djanogly Community Orchestra and invited soloists perform Mendelssohn’s Elijah. New singers welcome to come and join us! Ticket and concert details will be released nearer the time. Click to view our Latest News articles. Want to be happy? Join a choir! Ruddington is a large village some five miles south of Nottingham. 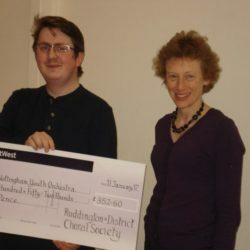 Ruddington and District Choral Society was formed in 1962 as part of local evening class provision. When the Local Education Authority ceased to fund such activities for adults, the choir became independent. 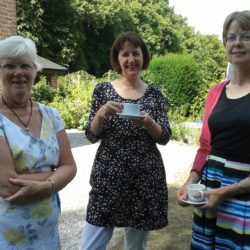 Membership fluctuates, but currently there are some sixty or so members who meet on Monday evenings in Saint Peter’s Junior School, generally following the school terms until Spring Bank Holiday when we break for the summer. Occasionally we rehearse in Ruddington Parish Church, the venue for many of our concerts. We participate in a small number of concerts each year, accompanied usually by organ or by a small group of instrumentalists. We generally give a charity concert at Christmas time, performing a Community Messiah (with audience participation) or a carol concert in alternating years. A genuine welcome is offered to new members who wish to join the choir, which can be initiated by activating ‘join’, above. Paul Hayward has been the Musical Director since January 2016. 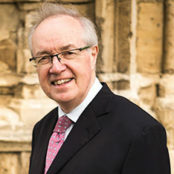 Paul read music at the University of Wales, Bangor, and holds a variety of diplomas in conducting, performance and composition. 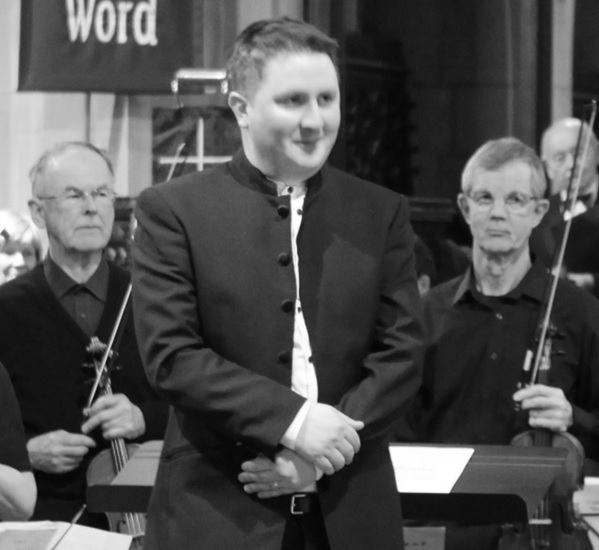 A former assistant cathedral organist, Paul now works as a composer and conductor. He chooses, rehearses and directs the music for the choir. 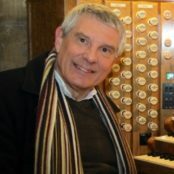 Michael Overbury has been the accompanist since January 2016. He was brought up surrounded by classical music and it has been an integral part of his life ever since. 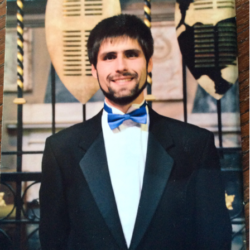 He studied at both Oxford and Cambridge universities and has performed with countless choirs across the Midlands. 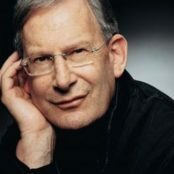 He has also worked as a choral conductor and is a regular contributor to Organists’ Review. 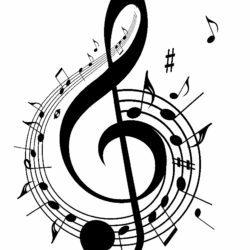 The Ruddington Chamber Ensemble is the choir’s associated orchestra, drawn from a pool of local musicians who come and play with the choir for some of their concerts. The orchestra accompanies choral works, also performing items on their own. 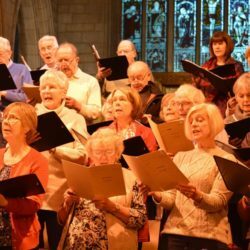 One of the aims of Ruddington & District Choral Society, laid down in its Constitution, is to promote the performance of both choral and instrumental works, both on their own and separately. If you are interested in joining or have any other enquiries, please fill in the form below and we will get back to you as soon as possible.